Absolutely wonderful and soft pullover from KAFFE. Really a nice little cute thing! It has a good stretchy quality and a beautiful viscose mix that makes it nice and soft. It has a regular fit, a round neckline with details and cute details on the front. The sleeves are ¾ and wide-sleeved, which makes this feminine expression. 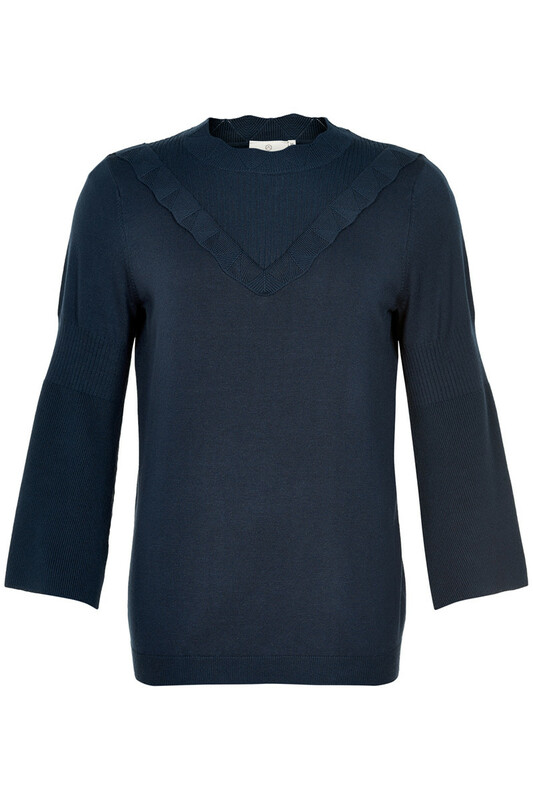 The pullover sweater is perfect for spring and works super well with a pair of cool jeans.